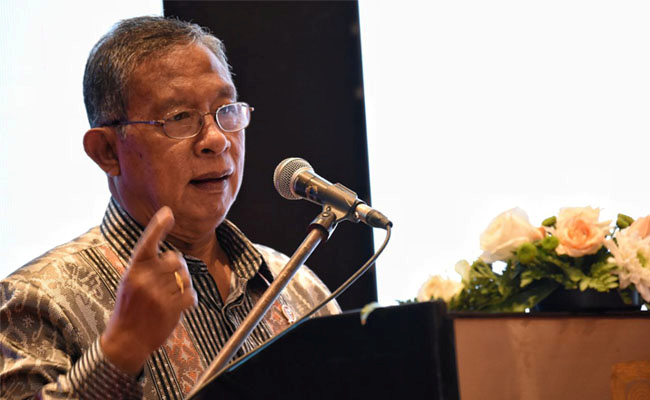 InfoSAWIT, JAKARTA – The proposal of Delegated Act, the regulation to reduce palm oil usage for biofuel in European Union until 2020 is protested by the Crude Palm Oil Countries (CPOPC) in the world. The Board of CPOPC did joint mission with Malaysia and Columbia in Brussel, Belgium on 8-9 April 2019 to respond what EU would do. In the joint mission, according to Coordinator Minister in Economy, Darmin Nasution, some sides met in Brussels. They were from Parliament Commission which was led by Vice President of European Parliament, Board of Europe, the big corporates using palm oil, and the corporates investing in Indonesia. Darmin said that what EU would do is discriminatory, the double standard, and protective because what their policy was based on ILUC research. It has no result about the whole factors and not scientific. Furthermore it is mentioned that soybean oil produced by United States of America (USA) is categorized as the low risk. “It clearly showed that this is politics in trade. In addition, they are in trade war with USA because their aluminum has incoming tax. That is why they offer something to USA,” Darmin said in the press conference with some journalists in Jakarta, Friday (12/4/2019).